I think he's having a hard time with the fact that we will be moving. I'm sure it's better to move now than when he's in middle school or Jr. High, but it makes me feel sad to know that he's sad about leaving his school and friends. I know he will adjust but it will take time. They will go to their old school through December. 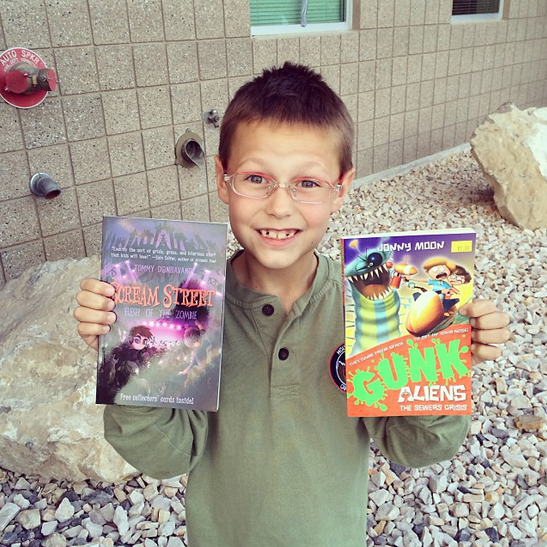 After parent teacher conference, we went up to the book fair to get some new books. I don't mind investing in a lot of books, especially if he shows interest.